Twitter is the place to go if you’re a trader. In fact, traders have classed up the place over the past few years, as evidenced by the maturing financial discussions taking place in the Twittersphere. After Brexit and Donald Trump’s election victory, Twitter is being increasingly viewed as a central repository for late-breaking news, analysis and reaction from the market. Against this backdrop, below is a list of ten Twitter handles you need to follow in 2017. I know what you must be thinking – what is Donald Trump doing on a list of financial Twitter handles?! As the next President of the United States with an ambitious stimulus plan, Trump may have a tremendous impact on the financial markets in 2017. That influence was on display in November when US stocks rose to record highs on expectations that the Trump administration may stimulate economic growth in the form of tax cuts, deregulation and fiscal spending. Benzinga is the handle to follow if you’re looking for real-time coverage of the financial markets. If you’re an avid stock trader, Benzinga also provides upgrades and downgrades of leading companies, leading to interesting discussions on the feed. The Wall Street Journal is one of the most respected publications in the financial markets. The 127-year old publication operates several Twitter handles, but @WSJMarkets is the one to follow if you want to keep track of market news as it happens. FactSet is a data provider that is widely sourced by traders, institutional investors and market news outlets. The company’s Twitter feed provides links to fresh research and live tweets from major events in the global financial markets. The Federal Reserve Bank of St. Louis provides a lot more than central bank policy news and analysis. The St. Louis Fed’s Twitter page is filled with amazing content and market analysis that might help traders make informed decisions. The feed is filled with charts and headlines, as well as great commentary on the US and global economies. Most traders are familiar with Stocktwits, which is a real-time feed that allows market participants to monitor the latest developments in global finance. The company’s Twitter feed highlights some of the most prominent developments and conversations from the markets. 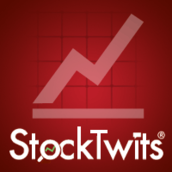 If you’re looking to see what’s trending, @stocktwits is definitely one of the best handles to follow. Bespoke Investment Group has quickly emerged as one of the most trusted names on Wall Street. The company offers leading market research and analysis that many traders pay for. The Bespoke Twitter feed provides a glimpse of its premium market research and offers links to its free podcasts. 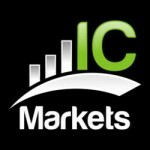 This is the place to go for timely information about the markets. While CNBC has been criticized for its political bias, its business news is usually right on the money. With nearly 2.5 million Twitter followers, many people trust CNBC for timely business news. Compare and contrast CNBC’s headlines with the WSJ’s Twitter feed for a look at the most important news events impacting the markets. Downtown Josh Brown provides a lot of unique insights about the market from a “reformed broker” perspective. He is also the self-described “Chairman of the Twitter Federal Reserve.” Expect to read a lot of interesting insights about his days in institutional finance, not to mention his commentary of the latest financial developments. Carl Icahn is one of the most successful investors of all time. He also rattled a few feathers by coming out in full support of Donald Trump early on the campaign trail. Regardless of how you feel about The Donald, Icahn clearly knows what he’s talking about. Icahn’s Twitter feed features links to his publications and insights on latest market developments. These ten feeds only scratch the surface of the financial Twittersphere. Regardless of your economic or political persuasion, Twitter offers plenty of insights to fuel your passions and your trades. Begin with these ten handles and branch out from there! Katie Martin (August 14, 2014). 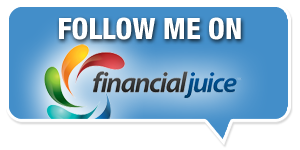 “50 Financial Twitter Feeds You Must Follow.” The Wall Street Journal. Tim Parker. “10 Twitter Feeds Investors Should Follow.” Investopedia. Ryan McQueeney (February 26, 2016). “10 Twitter Feeds Investors Need to Follow.” Zacks. The post 10 Twitter Handles Traders Should Follow in 2017 appeared first on Forex.Info.